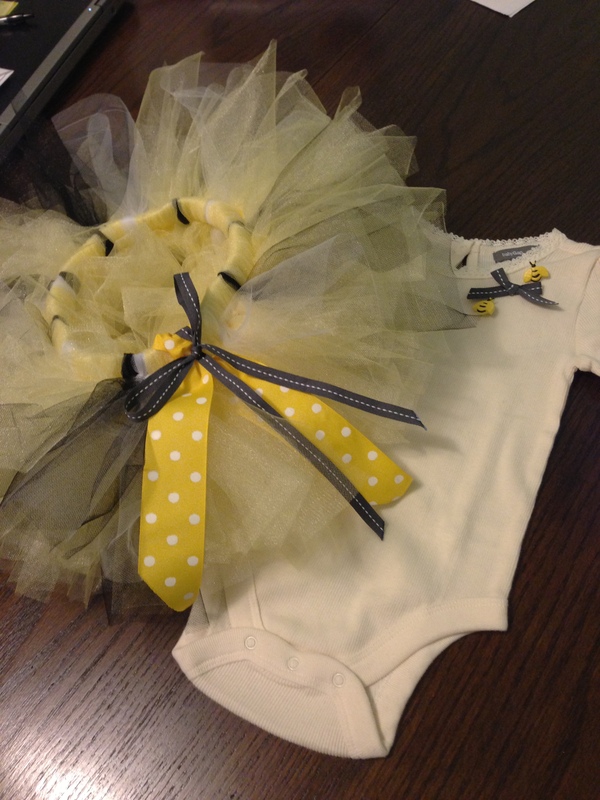 While searching for a gift for our niece I came across so many cute tutu’s on Etsy. My general rule: why buy it when I can make it? 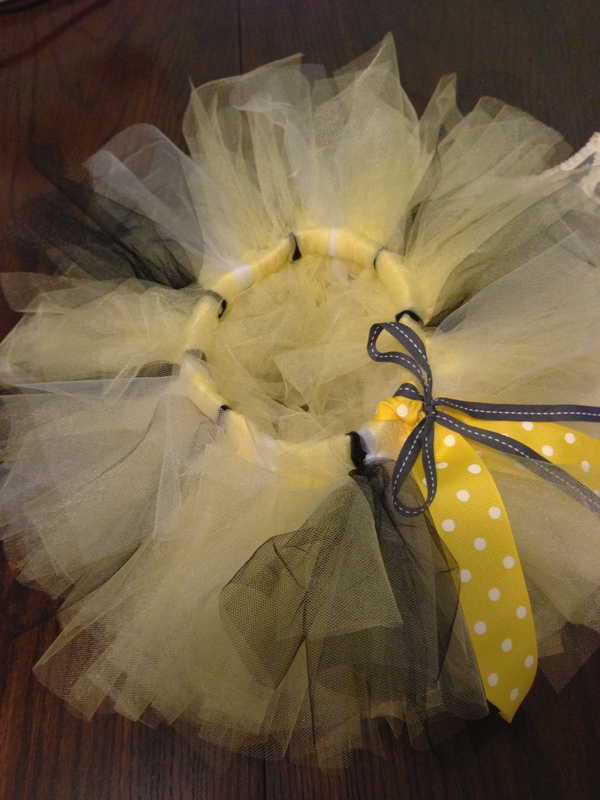 A traditional pink tutu just wouldn’t work for a girl named Clara Bee hence the light yellow, black, and white color palette. 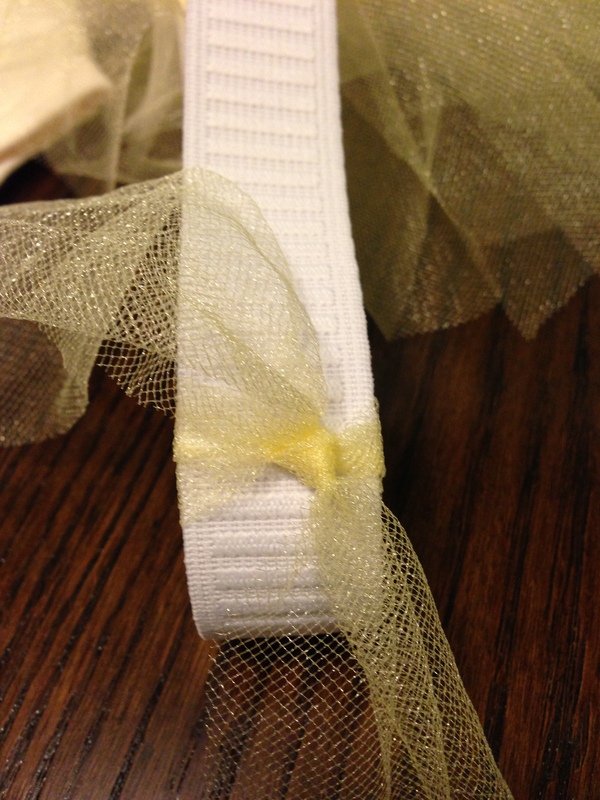 All you need is elastic, tulle, and some thread for this project. 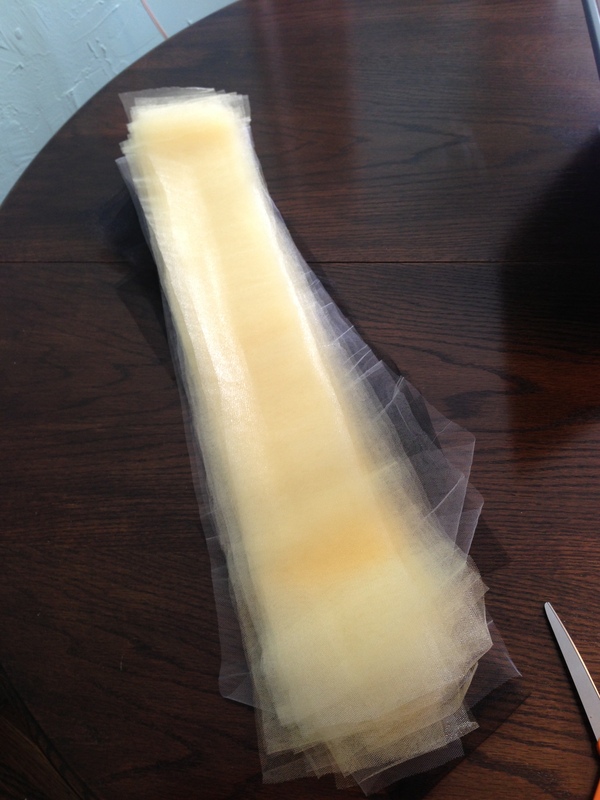 Depending on the size of tutu you need cut the elastic to the size of the child’s waist. I wanted a thicker waistband so I went with 2 inch elastic, but any size will work. Sew the ends to create a circle. 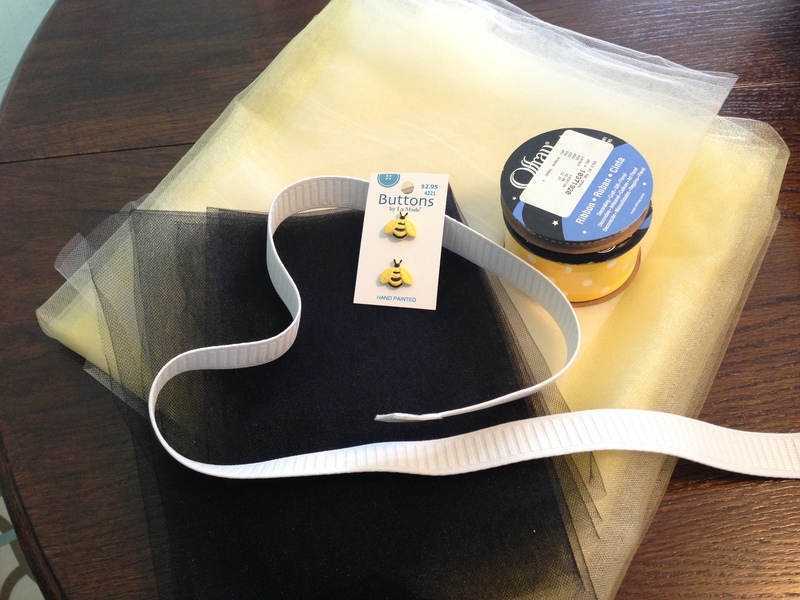 To the tulle! I always try to buy more fabric than I’ll need in order to avoid a second trip to the store mid-project… that’s THE WORST. Most likely the tulle will be folded in half when it comes off the bolt, which is great, leave it that way for cryin’ out loud cutting will go so much quicker. 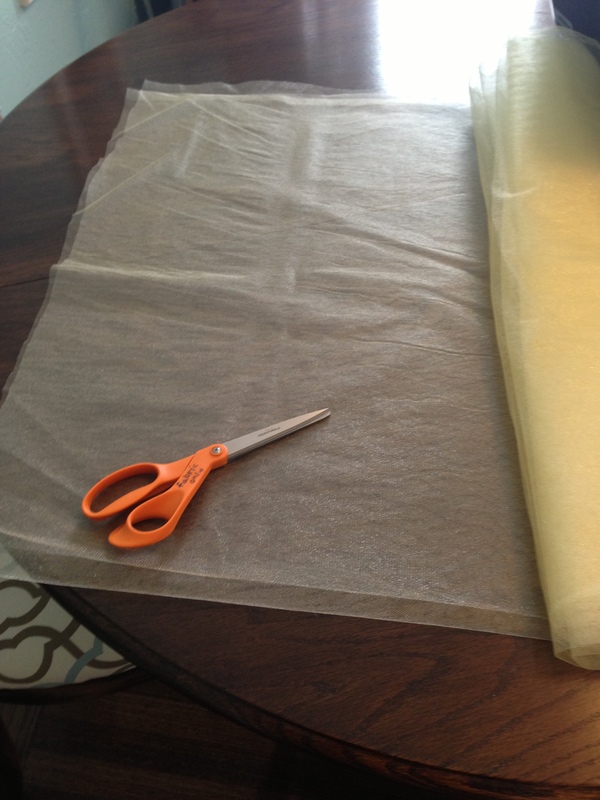 Next, cut the tulle into two inch strips. Now tie those buggers in double knots around the elastic and BAM! you’ve made a tutu.